Travis Hitt was born in Tyler, TX. Living there for many years before making his way to Allen, TX where he graduated from Allen High School. Post graduation following in his families footsteps of enlisting into the United States Army in July 2007. Serving 5 years as a Black Hawk Crewchief for multiple units of specialization decided to follow his dream of being a Realtor for residential homes and ended his service. In 2012 moving back to Plano, TX where he lives now and receiving his Real Estate License later the same year. His career starts with investment real estate buying and selling homes for a large brokerage out of Dallas and multiple states nationwide. In 2014 deciding to transition from investments to residential new home sales with RE/MAX located in Plano. Progressing his business in mind Travis decided to transition over to Rogers Healy and Associates in March of 2016 to make his next step in North Dallas Real Estate Market, where he is now making his stamp in the industry. Travis enjoys making people happy by providing the utmost level of respect as a friend, Coworker and best of all their Realtor. In 2012 moving back to Plano, TX where he lives now and receiving his Real Estate License later the same year. His career starts with investment real estate buying and selling homes for a large brokerage out of Dallas and multiple states nationwide. In 2014 deciding to transition from investments to residentia l new home sales with RE/MAX located in Plano. 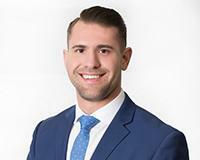 Progressing his business in mind Travis decided to transition over to Rogers Healy and Associates in March of 2016 to make his next step in North Dallas Real Estate Market, where he is now making his stamp in the industry.